Hidden in a garden is a statue for Stadhouder-King Willem III. He was not only Stadhouder of Holland, but also king of England in the 17th century. 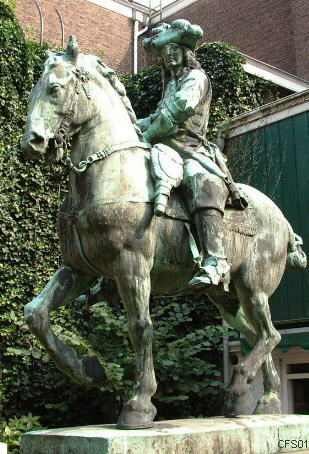 The original of this statue (much larger one) is in Breda.